As the end of the tax year approaches, now is an ideal time to consider implementing strategies to help minimise your tax bill. This article explores some of the opportunities that may be available to you, and considers changes to taxation that are due to come into effect in 2017/18 and beyond. April 2016 saw the introduction of increased flexibilities for Individual Savings Accounts (ISAs), allowing individuals to replace cash they have previously withdrawn from their ISA earlier in a tax year, without this replacement affecting their annual subscription limit. You have until 5th April 2017 to make your 2016/17 ISA investment. Individuals can invest in any combination of cash or stocks and shares up to the overall annual subscription limit of £15,240 in 2016/17. 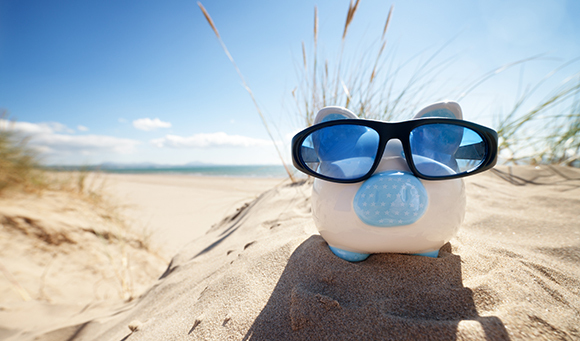 Meanwhile, a tax-free Junior ISA (JISA) is available to all UK resident children under the age of 18 as a cash or stocks and shares product, or both. Total annual contributions are capped at £4,080 in 2016/17. The new Innovative Finance ISA may be another option for those looking for a potentially greater return on their investments. Loan repayments, interest and gains from peer-to-peer loans are eligible to be held within an Innovative Finance ISA, without being subject to tax. Although returns on Innovative Finance ISAs have the potential to be greater than on Cash ISAs, they carry more risk. Note that a saver may only pay into a maximum of one Cash ISA, one Stocks and Shares ISA and one Innovative Finance ISA each year. With effect from 6th April 2017, the overall ISA subscription limit will rise from £15,240 to £20,000. Meanwhile, the annual subscription limit for JISAs and Child Trust Funds (CTFs) will be uprated in line with the Consumer Prices Index (CPI) to £4,128. The Government’s new Lifetime ISA will also be introduced in 2017/18. This is intended to allow adults aged under 40 to save up to £4,000 a year towards buying their first home (up to a limit of £450,000), or to save towards their retirement. Various rules apply – please ask us for details. We are here to help you - call 0800 0523 555 to book a free appointment with your local TaxAssist Accountant. Alternatively, you can submit your enquiry online here. Tax relief is also available on R&D revenue expenditure at varying rates. ● SMEs barred from claiming SME R&D tax credit by virtue of receiving some other form of state aid (usually a grant) for the same project will be able to claim the large company R&D tax credit. An SME may also be entitled to the large company R&D tax credit for certain work that has been subcontracted to it. In the 2016 Autumn Statement, the Government announced the introduction of a new National Productivity Investment Fund (NPIF), aiming to improve UK productivity. The NPIF will provide an additional £4.7 billion in R&D funding by 2020/21. The Government also intends to review the tax environment for R&D to build on the introduction of ATL tax credit, in an effort to make the UK ‘an even more competitive place to do R&D’. Capital allowances permit the costs of capital assets to be written off against taxable profits. The maximum amount of the Annual Investment Allowance (AIA) has been set at a permanent rate of £200,000 from 1st January 2016. This means up to £200,000 of the year’s investment in plant and machinery, except for cars, is allowed at 100%. The AIA applies to businesses of any size and most business structures, but there are provisions to prevent multiple claims. 'Greener’ investment is encouraged through specific 100% allowances available for some investments, including energy-saving equipment and low CO2 emissions (up to 75 g/km) cars. Otherwise, the general rate of annual writing down allowance is 18% on the reducing balance, with an 8% allowance for certain categories, including cars with CO2 emissions exceeding 130 g/km, long life assets and certain specified integral features of buildings. Typically, a purchase made just before the end of the current accounting year will mean the allowances will usually be available a year earlier than if the purchase was made just after the year end. In the same way, the disposal of an asset may trigger an earlier claim for relief or even an additional charge to tax. Ensure that you are making the most of your tax-free personal allowance (PA), which is set at £11,000 for 2016/17. If your spouse or partner has little or no income, you may wish to consider transferring income (or income-producing assets) to them to make sure that they fully utilise their PA. However, you should take care to avoid falling foul of the settlements legislation governing ‘income shifting’, and consider the legal consequences of transfers. Certain married couples and civil partners may also be able to make use of the Marriage Allowance. This allows couples to transfer 10% of their PA to their spouse or civil partner, where neither pays tax at the higher or additional rate. In 2017/18 the income tax personal allowance will rise to £11,500 and the income tax higher rate threshold will increase to £45,000 (£43,430 in Scotland). The Government has committed to raise the personal allowance to £12,500 and the higher rate threshold to £50,000 by the end of this Parliament. It is important to consider the tax and national insurance implications of your company car arrangements. The car benefit and car fuel benefit (where fuel for private use is provided with the car), on which you pay income tax at up to 45%, is calculated at up to 37% of the list price (car) and the same percentage on a notional £22,200 (fuel) in 2016/17. It may well be worth carrying out a complete review of your company car policy, as year on year the percentages, and therefore the taxable benefits on cars are increasing. It could prove more beneficial to pay employees for business mileage in their own vehicles at the statutory mileage rates. In some cases, a company van might also be appropriate. The taxable benefit for the unrestricted use of company vans is £3,170, plus a further £598 of taxable benefit if fuel is provided by the employer for private travel. From 2017/18 the car fuel benefit charge multiplier will rise from £22,200 to £22,600. The van fuel benefit charge will rise from £598 to £610, while the van benefit charge will increase from £3,170 to £3,230. You can download our free PDF of this guide here, which contains just some of the areas where TaxAssist Accountants can provide advice on ways to minimise your tax bill. We can review your affairs and ensure you are claiming the expenses you are entitled to (either in your business or against your employment income) look for any planning opportunities surrounding capital allowances and other allowances and reliefs. At TaxAssist Accountants we offer you a tailor-made solution for a fair and fixed fee. Our service aims to ensure that you are using all the tax savings available to you, paying only as much tax as you have to, and not a penny more. Contact our team on 0800 0523 555 or submit your enquiry online here to arrange a free, no obligation meeting to discuss the tax saving opportunities detailed above and how they could benefit you and your business.